Our race (skaven) is see-known for its deceiving. Runes are a form magic. OK, its time for a little speculation. The last Warhammer underworlds warband is the kharadron Overlords. Gama is the event for showing products from gw's sub games, bloodbowl, Necromunda, Warcry etc. So why didn't they show off the Ko warband? The logical conclusion is that they are going to show it alongside a new battletome and we will see both at Adepticon in a couple of weeks. I honestly think we need to have a ban on the phrase 'Tomb Kings' in this thread. I get it, you want them to come back, but convincing yourself that every new thing is a 100% confirmed sign of their glorious return is just silly, and it ends up filling up this thread with nonsense. 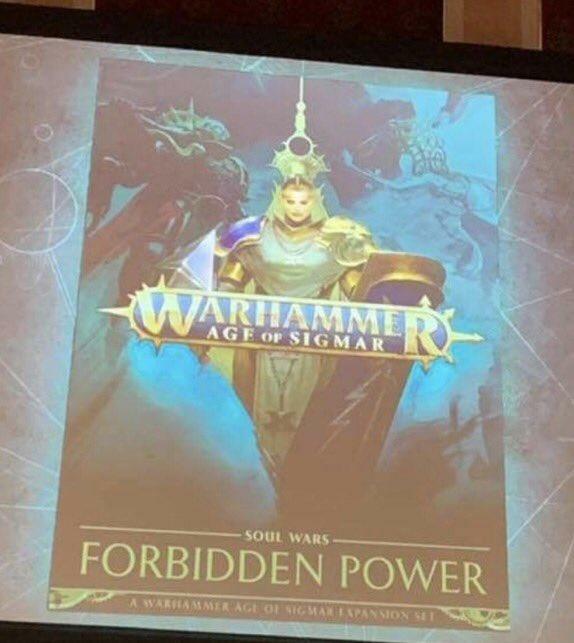 I mean, people are at the point where a release that GW have confirmed multiple times is a campaign expansion, not a new army is in their eyes undoubtedly a whole new Tomb Kings release based on some slightly Egyptian looking art design. That's directly ignoring the main facts we do know in order to push a fantasy. I know this thread by its nature isn't exactly the most rigorous or serious thing ever, but to me there's little difference between all these TK posts and deliberate trolling. Well then we should just go and ban every other phrase related to a faction as well. It's not going to happen, I understand you don't like it but that's not a valid reason for banning anything in an open forum. Also it's TOTALLY 100% no doubt about it Tomb Kings. I'll stop now. It more likely than not won't be even though we want it to be. Less joking aside really hoping more Warcry is talked about in coming month. Looms like it’ll be an excellent skirmish game to play. At least crossing fingers since it’s supposed to be more like kill teams . Just wanted to say that I’m ecstatic at the prospect of getting so many distinct chaos tribes with Warcry. All these years of only reading about all those different tribes but only getting generic horned-helmeted warriors finally payed off and we’re getting this beauty. As a Chaos player/fan/collector for more than 2 decades, I’m really happy. 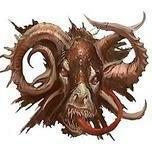 Also idk if it was mentioned but imo flayed face faction could be Slaanesh. Dear Mods - I think we need to form a TombKing Addicts Anonymous group. I'm concerned that some people are going to injure their brains (and possibly other peoples too) in their insane quest to see TombKings everywhere. Tombcast eternals would actually make me vomit. Tombcast and Chaoscast are two strict no-nos for AoS. Either of those would probably result in a community schism rivaling the End Times. NARRATOR: That summer Games Workshop introduced the first undead chaos corrupted Stormcast Eternals. Life went on as usual. That would definitely make me want to jump ship to a wargame that isn't shoving space marines into every possible niche. Look at the back of an American Dollar Bill! What do you see? A Pyramid! Who lives in pyramids? Tomb Kings! The All-Seeing Eye! Magic! Tomb Kings use magic. If you count the bottom number of bricks there are 13 of them. 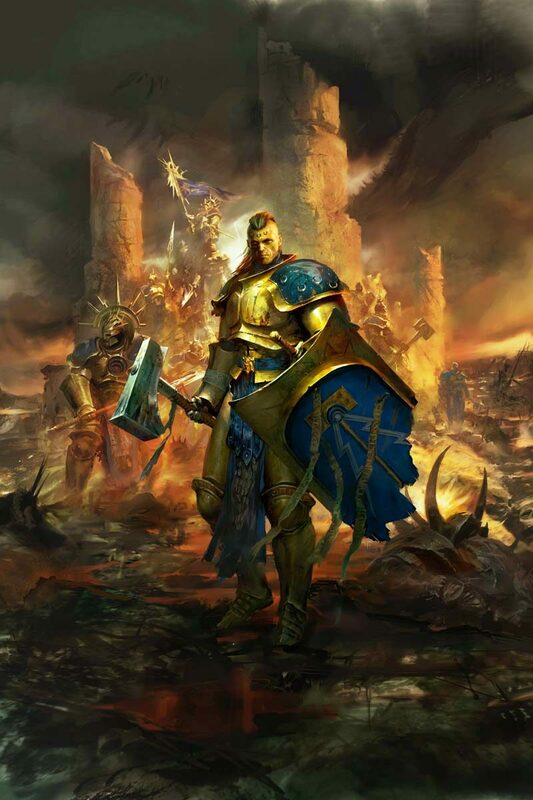 13 is an unlucky number, the Tomb Kings were very unlucky to not be included in Sigmar. The dollar is US. The United States won independence from England. England is where Games Workshop is based. The Tomb Kings will win independence from Nagash! It all makes sense now! I know there are more clues hiding! Excuse me. I’m off to steal the Declaration of Independence. Celestant-Prime I think, has that Lion chestplate. Looks like a pretty normal chestplate to me. I would say, it could simply be a Lord Castellant. A Lord Veritant could also be possible (quite the same sort of helmet), but he has the Lantern on his staff. That could actually be possible after he is mentioned to be a Lord Castellant. Oh man, even though we know it isn't so, I wish the Celestant-Prime was Settra so hard. So I think both camps can be right. The trailer is about Tomb Kings, and Tomb Kings are never coming back. "A god regrets what he has done". Sigmar regrets SCE. He's opening the stormvaults, where he has locked away the Tomb Kings, and is throwing the SCE in there with them. SCE model range discontinued. New Free Peoples as the new poster race of AoS.